The demand for CPQ solutions is growing exponentially. According to a Gartner report, market revenue for CPQ tools is expected to grow by 20% year over year through 2020. This is for good reason, too. Configure, Price, Quote (CPQ) solutions allow businesses to accelerate sales and recognize revenue faster by quickly configuring products, defining pricing and discount structures, and integrating back-office billing systems. 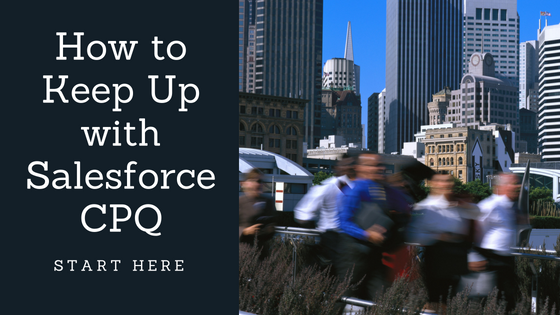 If you are one of these companies considering a CPQ solution such as Salesforce CPQ, you may have already begun your due diligence and research to get an idea of what it takes to implement. You may have even met with an implementation partner or consultant. If you have, chances are they mentioned that a CPQ implementation is not just a matter of flipping a switch, installing a package or purchasing licenses. From a business point of view, there will be a substantial amount of requirement gathering to determine how CPQ will fit your business needs all the way down to defining your product and pricing structure. From a technical point of view, implementing CPQ will require data analysis, transformation and loading, reporting, and the technical resources necessary to accommodate any custom business logic. Do you have the IT infrastructure to support the solution? With Salesforce CPQ, it is important to have defined processes regarding ownership of the solution – who is responsible for changes, enhancements and adoption. It is not uncommon for companies to leave the ownership of Salesforce to the Business users – such as your Sales or Operations team. This may be fine for many implementations, especially ones that utilize out of the box Sales Cloud functionality. However, CPQ is considerably more complex. With Salesforce CPQ, a technical team is highly recommended. 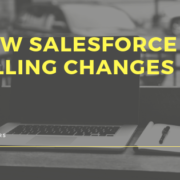 A recent study provided by IBM Bluewolf noted that when IT has control over the use of the Salesforce platform, the business is ‘3x more likely to be optimized for ongoing innovation, use more of its features, as well as ‘coordinated process improvement’ (The State of Salesforce, 45). Do you have the bandwidth to hire or train permanent Salesforce resources? 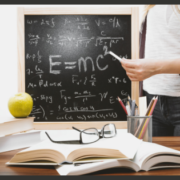 In an article by Salesforce about preparing for CPQ success, the author recommends Admin and User training as two of the five necessary components of maintaining a successful CPQ implementation (How to: Prepare for CPQ Success). Finding the necessary professional resources can be expensive and training current employees may not be feasible for your business. In addition to the hours of training necessary to become a competent platform user, CPQ will demand users to keep abreast on areas to improve and optimize. What are other important Maintenance activities your team should be aware of? Products and Pricing: Is your product and pricing structure accurate? This includes cleansing of duplicate products or contradicting pricing rules. Workflow and Approvals: Do the approval processes still reflect agreed upon business rules? Quotes and Contracts: Is the language and terms accurate in quote and contract templates? There is plenty of work to be done before and after implementing a CPQ solution, including creating support plans and assigning maintenance responsibilities. The key to success is often careful and diligent planning. 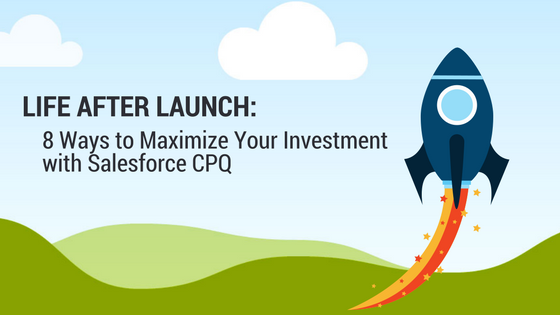 Although an investment in Salesforce CPQ can yield a significant return on investment, it is important to consider the long-term investment that will have to be made to keep things running smoothly. Whether you are just beginning your CPQ implementation or have already gone live and could use some additional support, visit Pinkus Partners at www.pinkuspartners.com and get matched with a Salesforce Certified CPQ Consultant within 24-48 hours.